My favorite online tea supplier is Adagio Teas. They ship to Canada & to the US (and they also have a European store). I can't get enough of their Earl Grey Tea , Genmai Cha and Jasmine Pearls ! Numerous beneficial health effects of tea have been documented. With more than 3000 varieties of tea out there, are these health benefits the same for black tea, oolong tea, green tea, white tea and herbal tea? Read on and you'll find out! If you're drinking black, green, oolong or white tea, you should be aware that all these varieties originate from one plant called Camillia Sinensis (sometimes spelled camilia sinensis). The difference between varieties comes from the way the leaves are processed. The leaves that are fermented most or most exposed to oxygen are classified as black. The green tea leaves are partly processed, oolong tea falls somewhere between black and green and white tea is unprocessed. The requirement to process the leaves originated from a need to improve preservation of taste and freshness quite a few centuries ago. Herbal tea? Well it doesn't come from the same plant at all! In dry form, a kilogram of black tea has twice the caffeine as a kilogram of coffee. But one kilogram of Black Tea such as Adagio's black teas will make about 450 cups of tea and one kilogram of coffee makes about 100 cups of coffee, so... 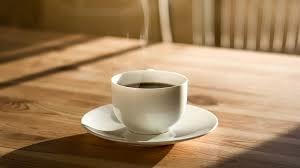 There is less caffeine in a tea cup than in a coffee cup. Green teas have less caffeine than black teas, and white teas have even less caffeine than green teas. Oolong teas fall between black and green teas. Herbal tea, because it is not made from the same tea plant, is naturally caffeine free. Obviously, some people may not react well to too much tea. If you suffer from fibrocystic disease or have high blood pressure, you shouldn't ingest too much caffeine. Tea is better than coffee, but it still contains caffeine. If you need to decrease the amount of caffeine in your tea, buy decaf tea or make a "second cup". Make yourself a cup/pot and let it steep as you would normally do. Then discard the water and reuse the same tea leaves/tea bag and make a second cup/pot. This second pot/cup will contain significantly less caffeine than the first pot. Also, try to stick to white and green teas, which have a lower caffeine content than oolong and black teas. Polyphenols are also called tannins and are present in all tea leaves but more concentrated in young buds and leaves. Polyphenols give the tea its color and pungency. By fermenting the leaves, some of the polyphenols are oxidized and become soluble in water. These water soluble tannins give a darker colour to the tea. The polyphenols that aren't oxidized (i.e., green tea) give tea its pungency. Unfermented oils are present in green teas and these oils can help digestion. During fermentation, some naturally occurring oils can also ferment and the resulting flavor of the brewed tea can include a combination of both unfermented and fermented oils that evaporate once in contact with the hot water. This is why you should cover your tea while steeping. To ensure that you get the maximum benefits from your cup of tea, you should ensure that you keep your stash in the right conditions. Typical shelf life for tea is about 6 months for green and white teas and a few years for oolong and black teas. Keep in mind that pellets or twisted leaves last longer than flat exposed leaves. Keep your tea in a cool, dry, dark container that is also airtight. Learn more on the health effects of tea. You can also visit the comfort food page for great recipes to enjoy at home while sipping that cup of tea.